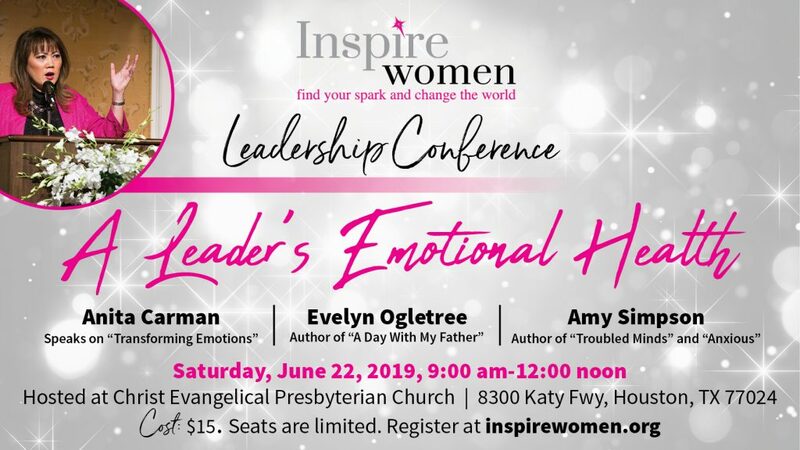 Inspire Women’s Leadership Conference addresses topics relevant to leadership such as emotional health, sustaining momentum and hearing God’s will. *Seats are limited. Register below! Women in ministry or called to minister to others. Women with leadership, shepherding or business responsibilities. 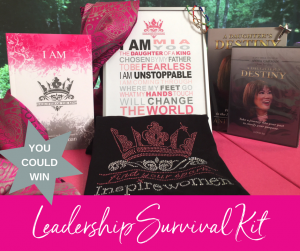 Find your spark bling t-shirt, A Daughter’s Destiny book and A Daughter’s Destiny 7 session Bible Study DVD set, I Am devotional and Journal, sterling silver cross bling pin/pendant, a fun bracelet, and a personalized I AM print (we will put in your name, frame not included).